The first time you add a Quickbooks card to a FLO, you need to set up a configuration for that Connector. Setting up a configuration will allow you to connect to your Quickbooks account, save the information, and reuse that configuration next time you build a FLO with the connector. That way, you don’t have to sign in every time you want to build a FLO with this Connector. After you’ve set up one configuration, you can choose to use that configuration again, or set up a new one. Add the Quickbooks card you would like to use to your FLO. If you already have configurations set up, you will have to select Add Account to create a new configuration. If you don’t have any configurations set up, you will automatically be taken to the next step. Quickbooks will now open a popup window that will allow you to log into their service. Follow the instructions to complete authentication. Custom Fields: These fields are dynamically generated based on the fields custom fields created in your Quickbooks account. This card adds a Line Item to an invoice by Invoice ID. Line Item Type (dropdown) : This option will generate input fields according to its type. There are 4 total input types. Sales Line Item : This is the basic line item type. Line Number (number - Required) : Specifies the position of the line in the collection of transaction lines. Description (text - Required) : Free-form text description of the line item that appears in the printed record. (Max 4000 characters). Amount (number - Required) : The amount of the line item. (Max 15 digits). Quantity (number - Required) : The quantity of the line item. Item Ref Value (text) : The ID for the referenced object as found in the Id field of the object payload. The context is set by the type of reference and is specific to the QuickBooks company file. Item Ref Name (text) : An identifying name for the object being referenced by value that is derived from the field that holds the common name of that object. This varies by context and specific type of object referenced. Class Ref Value (text) : The ID for the referenced object as found in the Id field of the object payload. The context is set by the type of reference and is specific to the QuickBooks company file. Class Ref Name (text) : An identifying name for the object being referenced by value that is derived from the field that holds the common name of that object. This varies by context and specific type of object referenced. Unit Price (number) : The price of the subject item as referenced by ItemRef. Corresponds to the Rate column on the QuickBooks Online UI to specify either unit price, a discount, or a tax rate for item. If used for unit price, the monetary value of the service or product, as expressed in the home currency. You can override the unit price of the subject item by supplying a new value with create or update operations. If used for a discount or tax rate, express the percentage as a fraction. For example, specify 0.4 for 40% tax. Markup Info (text) : Used to define markup when this line represents a billable expense on the invoice. Markup information for the billable expense line. Markup Percent (text) : Markup amount expressed as a percent of charges already entered in the current transaction. To enter a rate of 10% use 10.0, not 0.01. Tax Code (text) : Reference to the TaxCode for this item. Query the TaxCode name list resource to determine the appropriate TaxCode object for this reference. Service Date (text) : Date when the service is performed. Amount (number) : The amount of the line item. (Max 15 digits). Class Ref Name (text) : An identifying name for the object being referenced by value and is derived from the field that holds the common name of that object. This varies by context and specific type of object referenced. Discount Percent (number - Required): Percentage by which the amount due is reduced, from 0% to 100%. To enter a discount of 8.5% use 8.5, not 0.085. Discount Account ID : Income account used to track discounts. The ID for the referenced object as found in the Id field of the object payload. The context is set by the type of reference and is specific to the QuickBooks company file. Subtotal Line : This Line item will sum the amount of all previous line items, until the first item or the previous Subtotal Line. Invoice ID (text - Required): The unique indentifier of all invoice, this oculd be found on the url of a invoice. 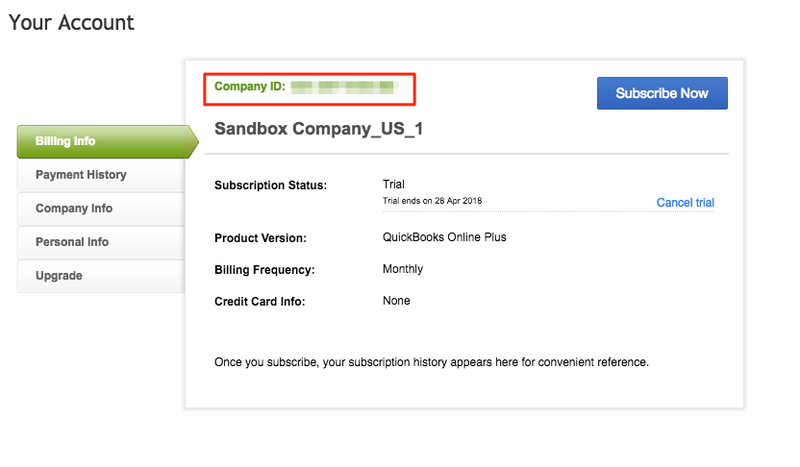 For example the URL https://c50.sandbox.qbo.intuit.com/app/invoice?txnId=228 will have an id of 228. This card doens’t have any output. This card will create a line item formatted object according to quickbook specification. Line Item Type (dropdown) : This option will generate input fields according to its type. Line Number (number) : Specifies the position of the line in the collection of transaction lines. Description (text) : Free-form text description of the line item that appears in the printed record. (Max 4000 characters). Discount Percent (number): Percentage by which the amount due is reduced, from 0% to 100%. To enter a discount of 8.5% use 8.5, not 0.085. Discount Account ID : Income account used to track discounts.. The ID for the referenced object as found in the Id field of the object payload. The context is set by the type of reference and is specific to the QuickBooks company file. Subtotal Line : used for overall transaction. Item Ref Name (text) :An identifying name for the object being referenced by value and is derived from the field that holds the common name of that object. This varies by context and specific type of object referenced. Line Line Item : A Line item object for invoice object, this was constucted from the inputed data in the input field. This Line item object will be formatted according to the line item format on the quickbook specified format. for more information. This action creates a new invoice in Quickbooks. NOTE: In order to create an invoice you must specify Customer ID and at least one Line Item. Use the “Build Line Item for Invoice” card in order to create line item objects for this card.